Mammoplasty (breast plastic surgery) is a plastic surgery on the mammary gland, which makes it possible to change its size and shape. Mammoplasty is one of the most demanded operations in plastic surgery and the most developed one: the first breast plastic surgery was performed in 19 century. Since then, breast plastics has been constantly developed and now it is brought almost to perfection. Modern aesthetic surgery offers a large number of different techniques and modifications of mammoplasty. In some cases breast reshaping (breast plastics) is performed by moving of own tissue, in others – with implants. Both methods are safe, which is proved by years of experience in breast plastic surgery. 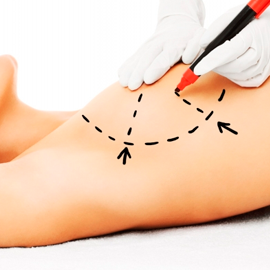 The breast plastic surgery in the majority of cases is performed under the general anaesthesia, but in some cases it is possible to apply local anaesthesia.